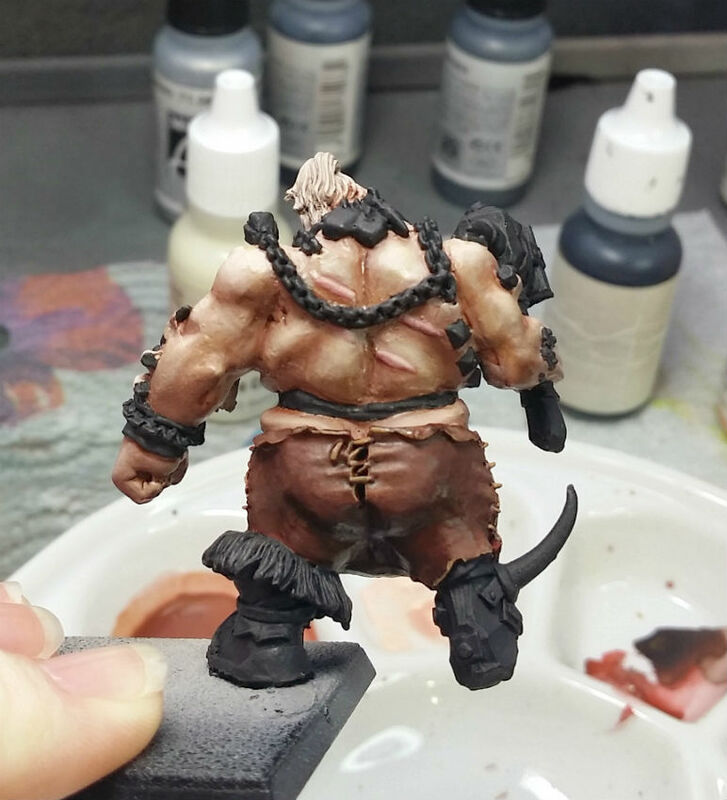 I’m in the middle of a pretty cool commission right now. 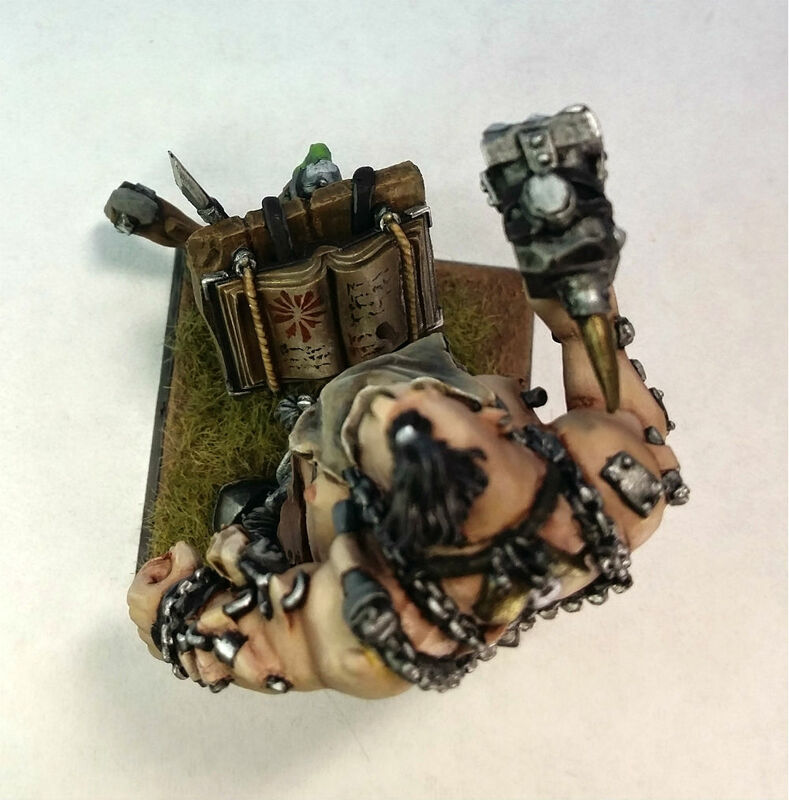 It’s an Ogre Slaughtermaster with a gnoblar converted to hold a spellbook/ogre cookbook. 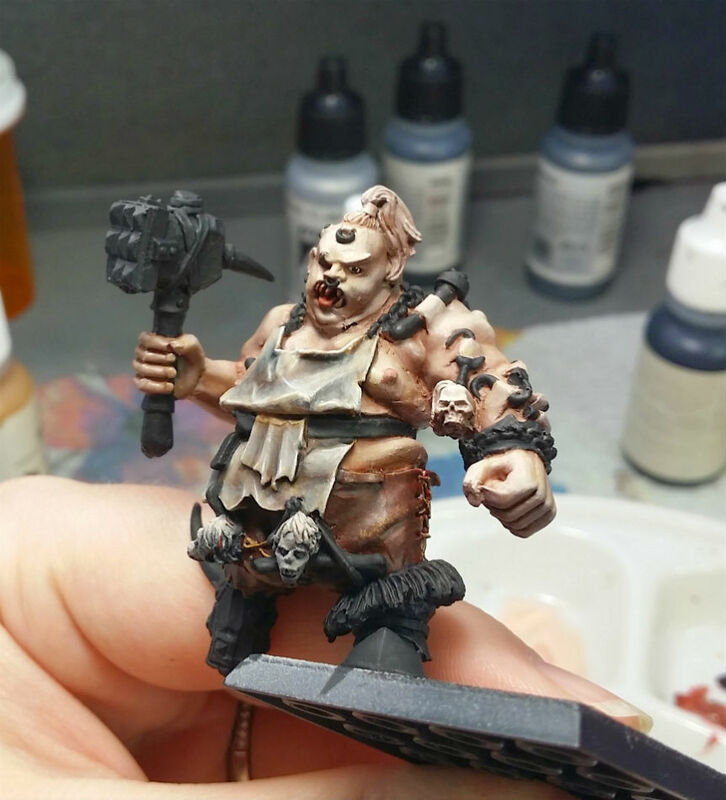 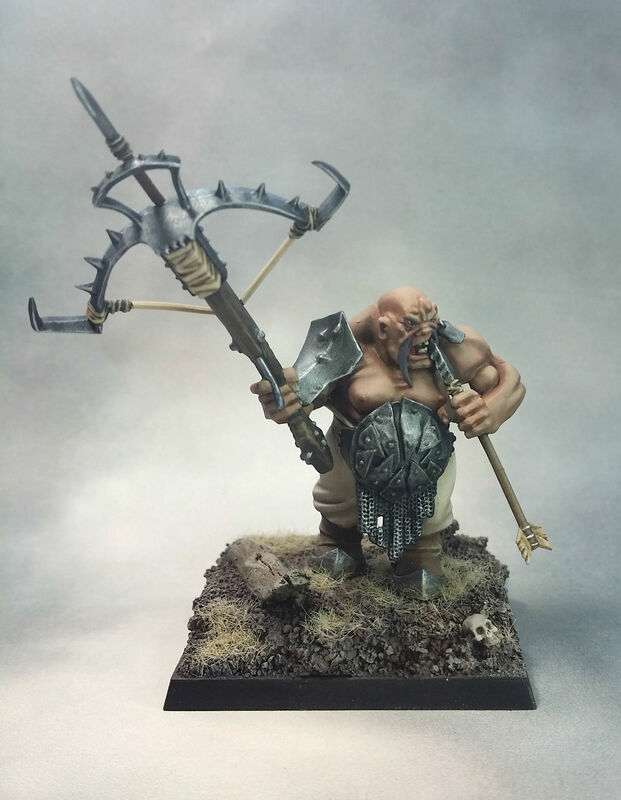 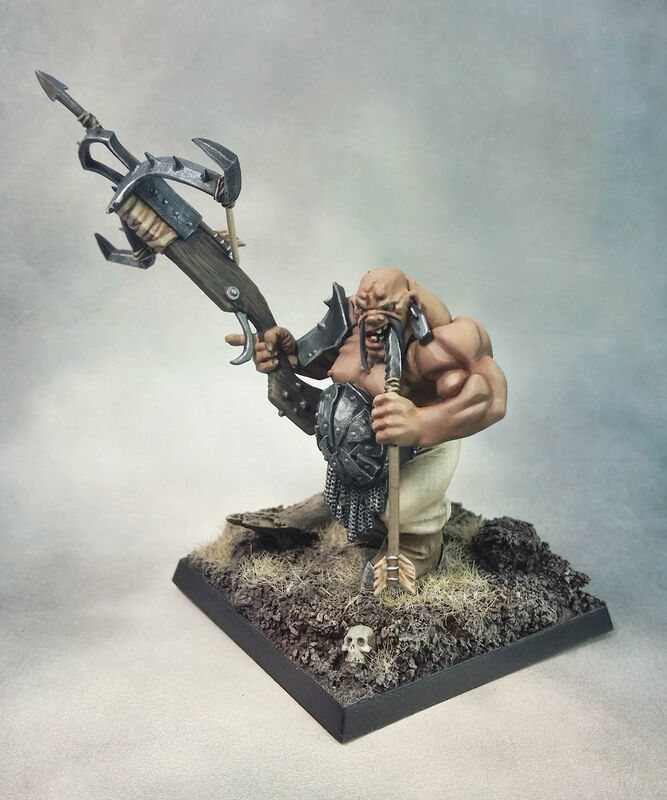 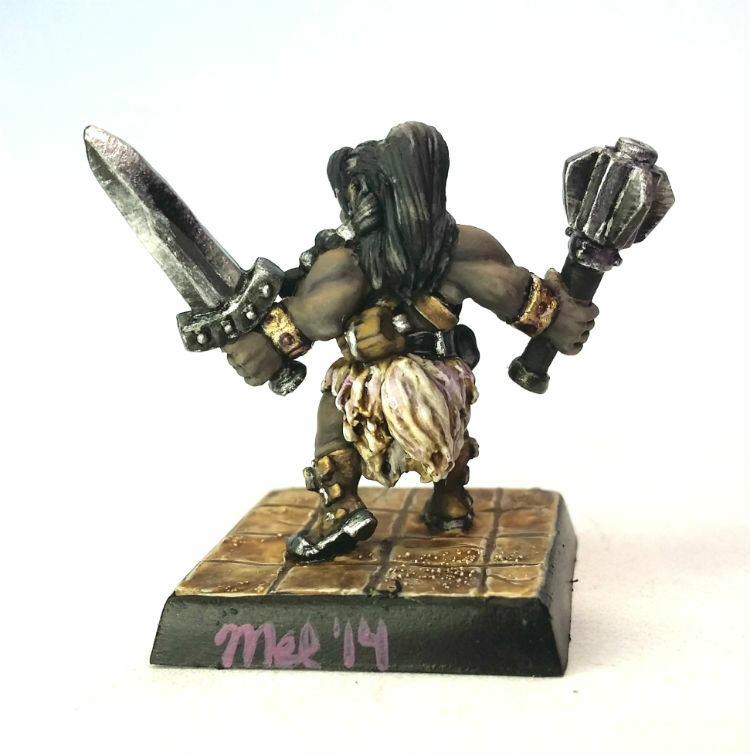 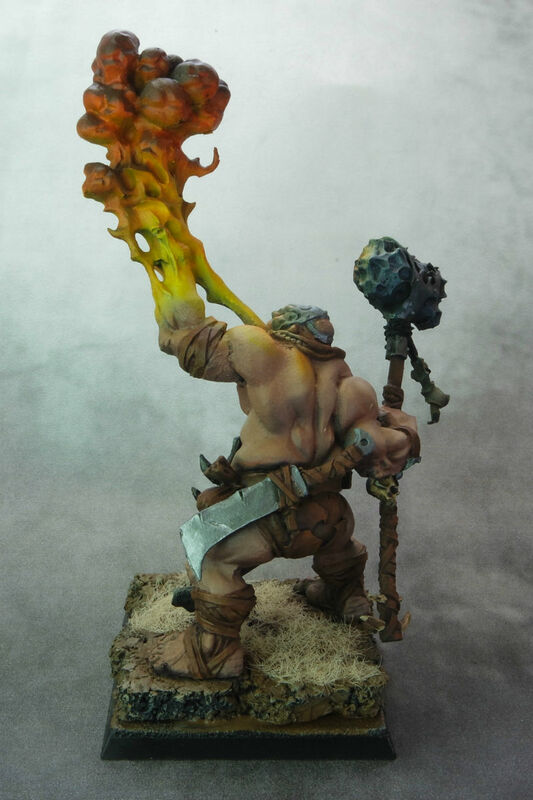 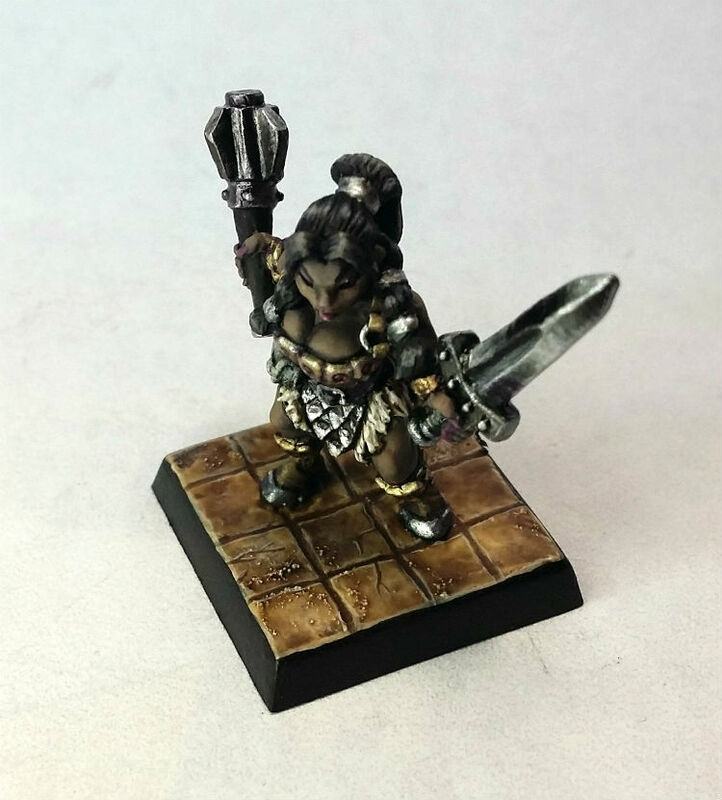 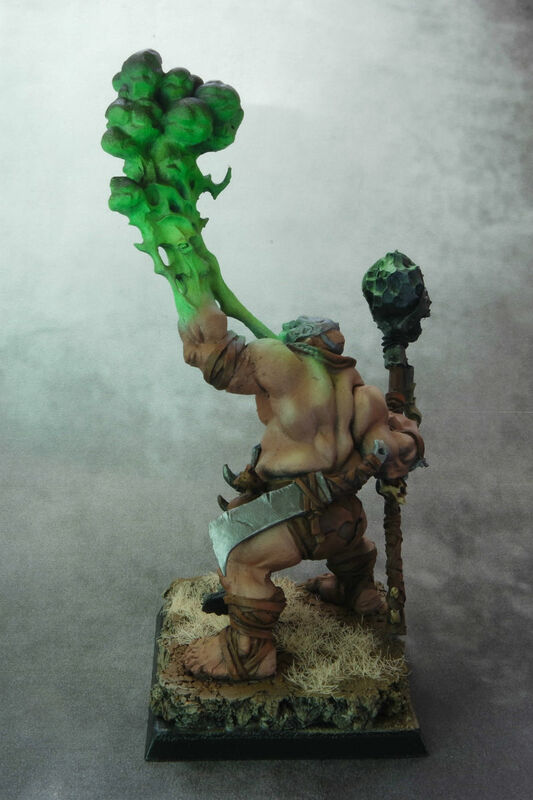 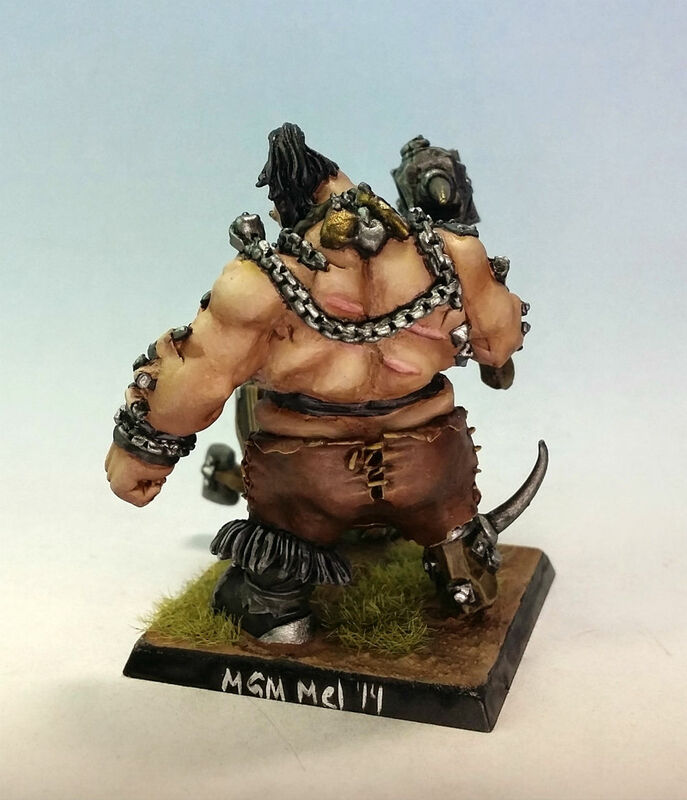 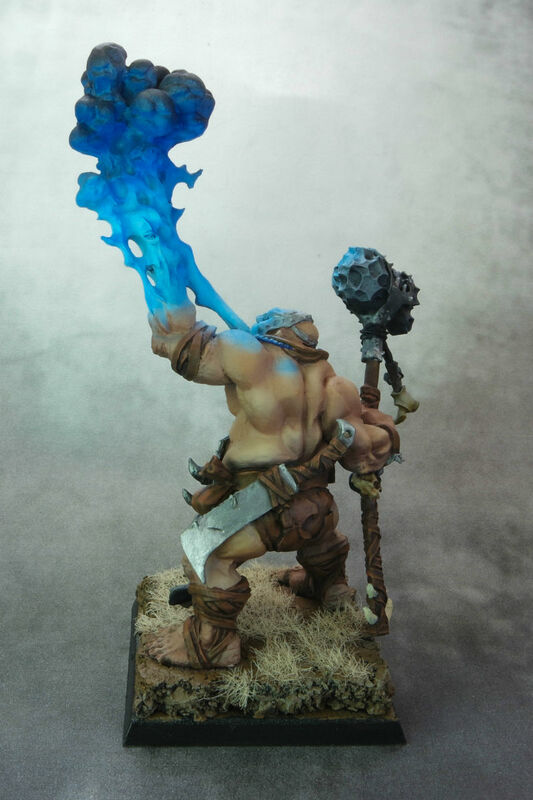 Recently, I painted a converted Warhammer Fantasy Ogre Hunter made from bits from the bulls and stonehorn boxes with a 50mm base I had sitting around. 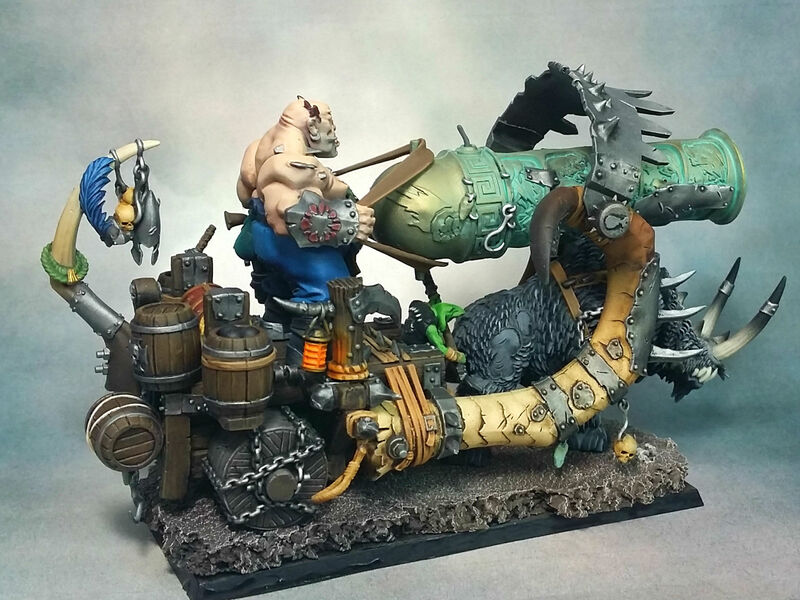 This model is intended to run in a unit of Sabretusks, which is something you don’t see very often! 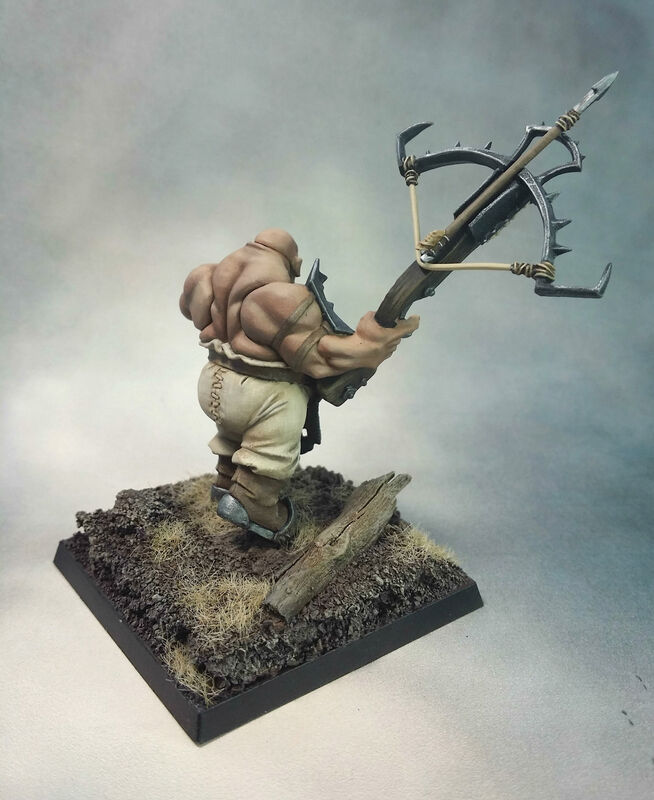 I’m going out of town for a few weeks, so I probably won’t be able to post much (if at all) during that time, but before I go I’ll put up a picture of a converted Ogre Hunter I’ve been working on. 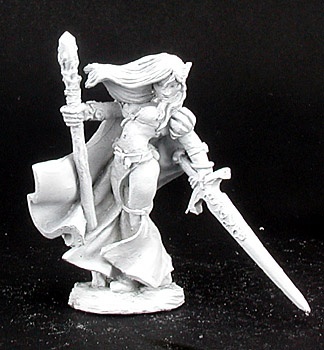 When I get back I have a commission for a beautiful Reaper Alastriel! 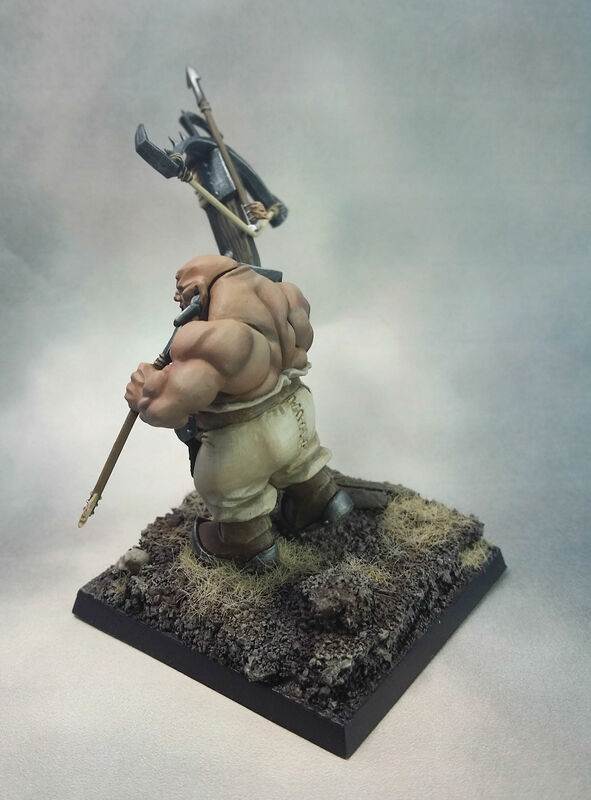 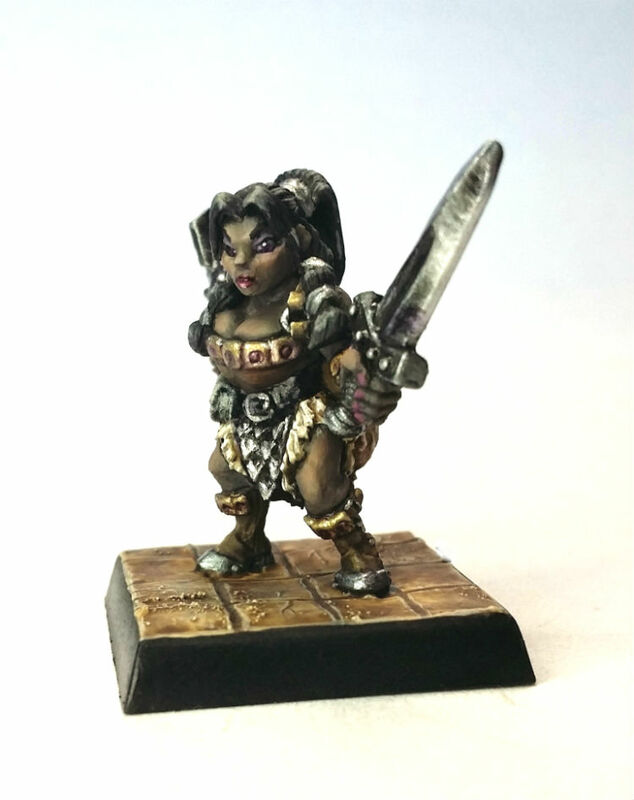 It’s definitely one of my favorite Werner Klocke sculpts, and I’m really happy to have a reason to paint one. 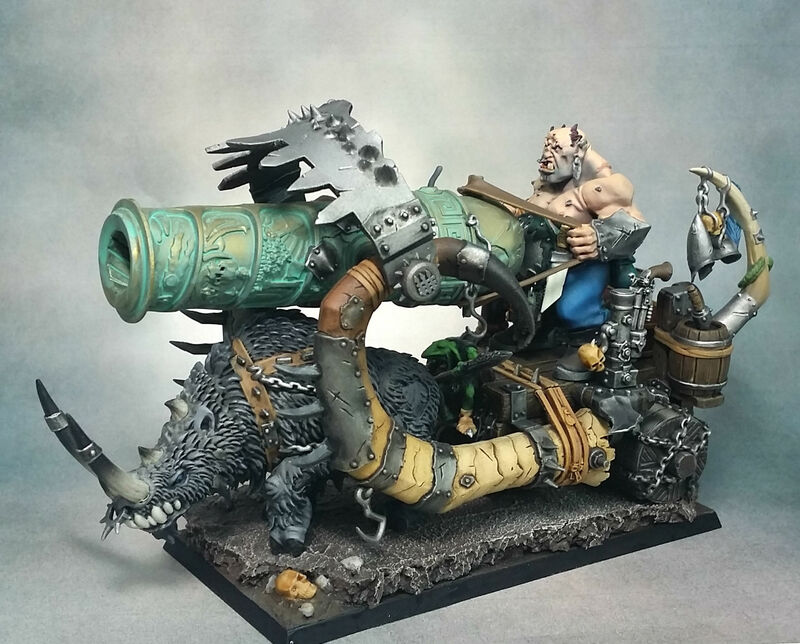 I just finished this Ogre Ironblaster. 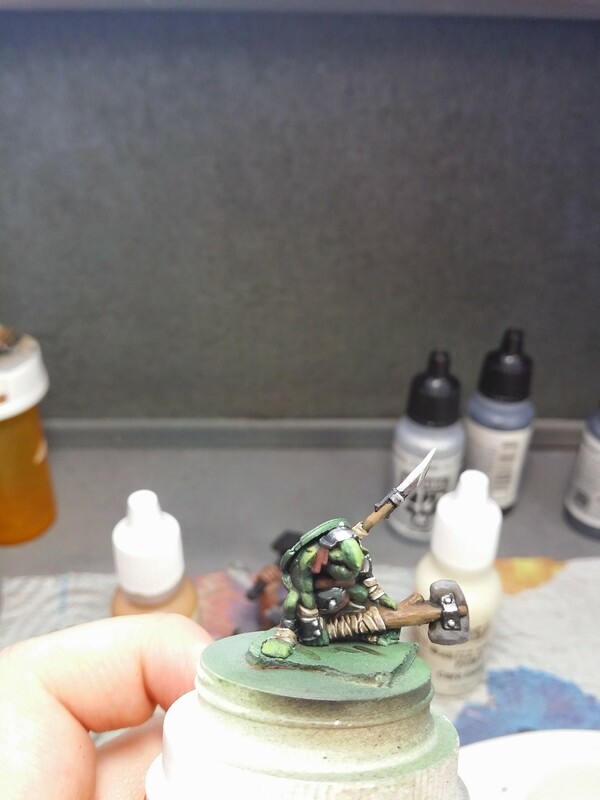 I was going for quick and simple, but this model is pretty much impossible to do quickly, lol. 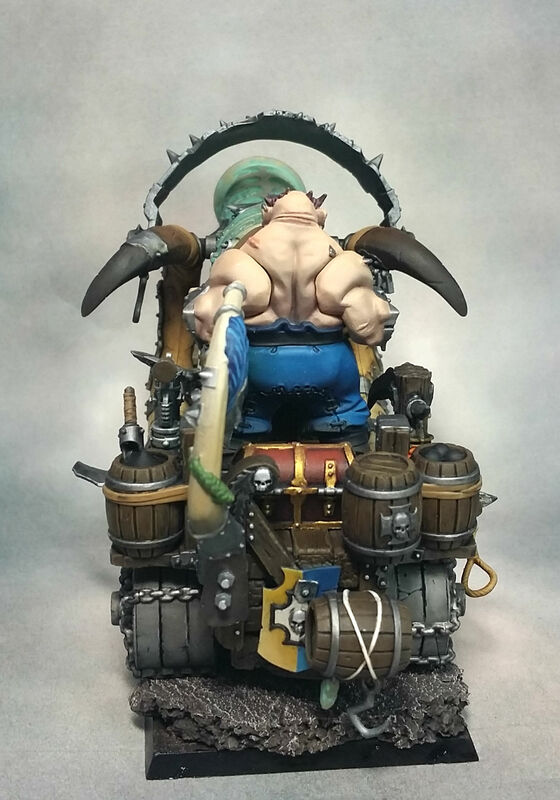 Also, all of those little details are just begging to be snapped off! 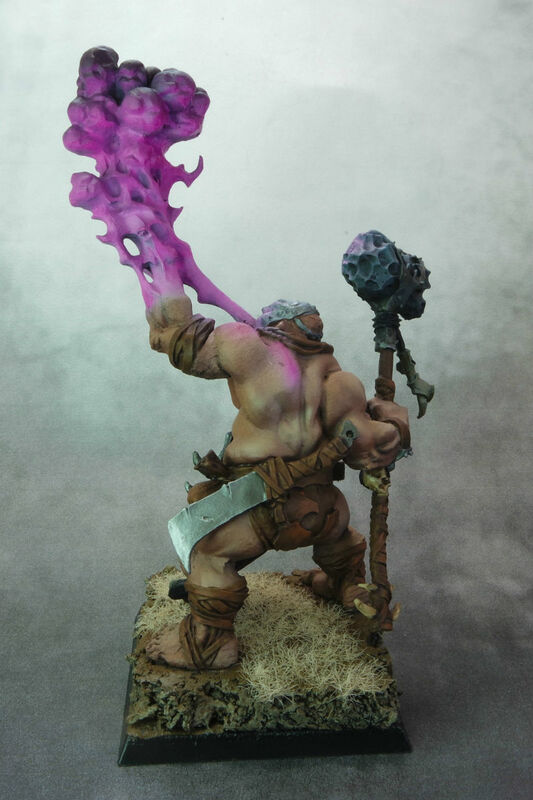 I really like the model, but I’m not too keen on having to assemble another one for a little while! 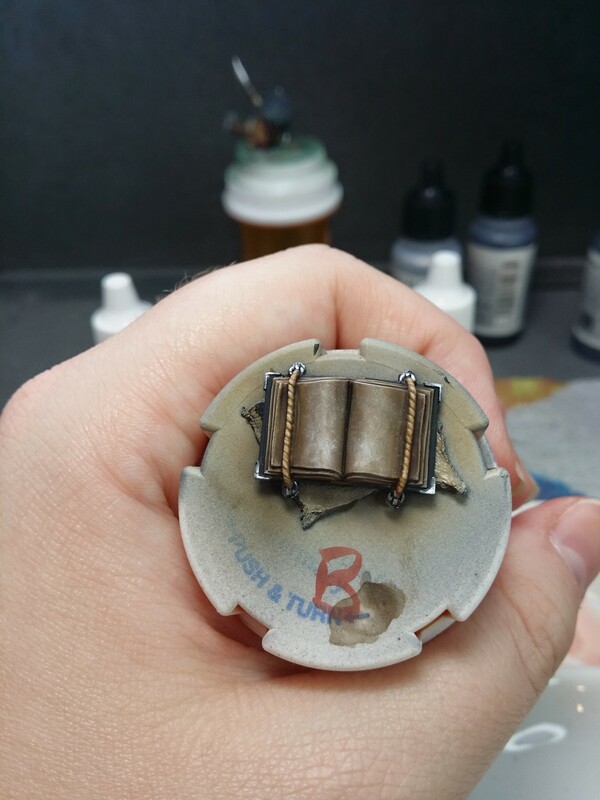 It was nerve-wracking, lol. 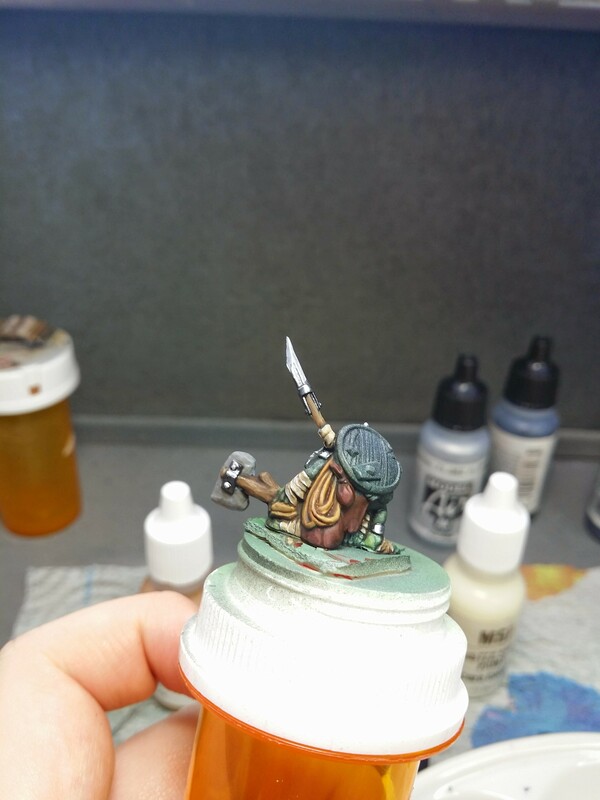 In the next couple weeks I have a Lizardmen commission to complete – Skink Priest, Tetto’Eko, and skirmisher movement trays. 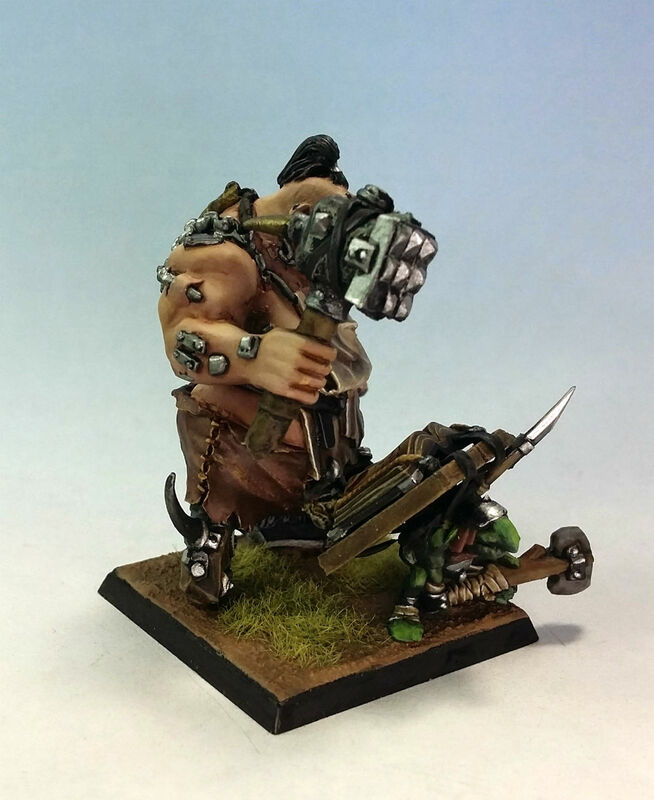 I will take step-by-step photos and post a how-to about the movement trays! 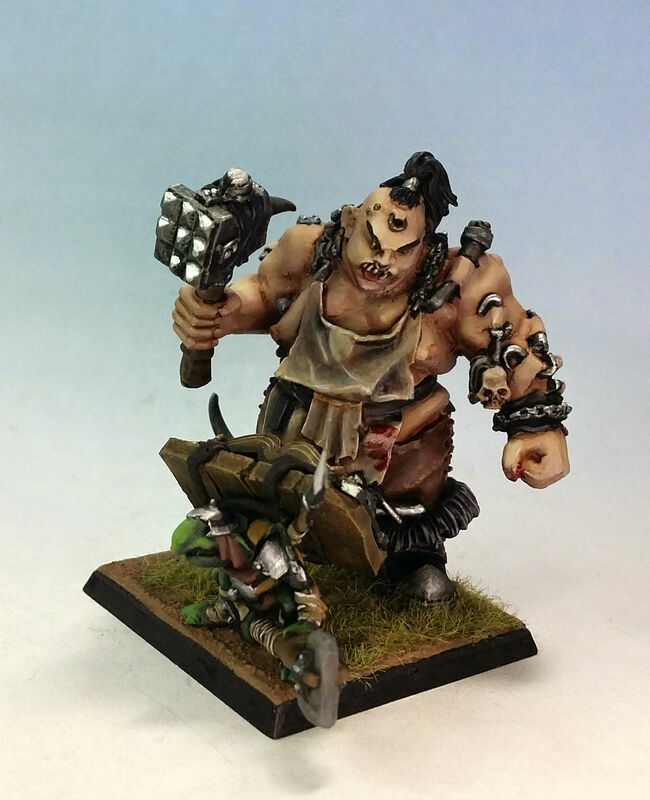 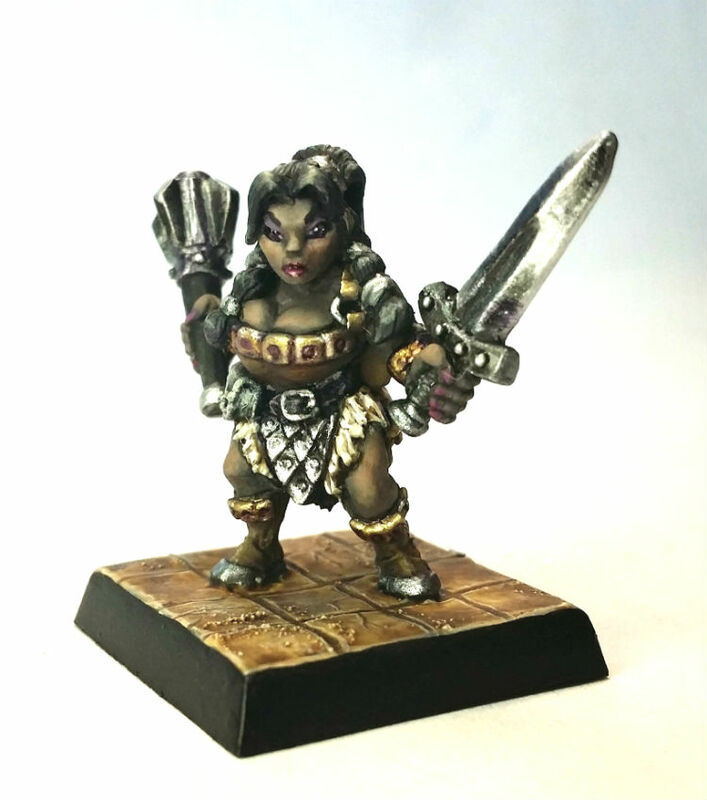 Before all that, however, I need to finish the Ogres project with the Limited Edition Bruiser/Tyrant.